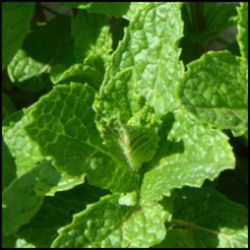 I just had a gardener give me some very healthy mint plants today. She said she used her mint for making tea, but didn't know quite what else to do with it. "There's just so much of it," she lamented. Sound familiar? One of my favorite ways to use mint is in making chocolate ganache for frosting a cake (or a slightly thicker version for truffle centers, which can then be rolled in nuts or cocoa powder). You need equal amounts of heavy whipping cream and chocolate (add a couple extra ounces of chocolate if you are making truffles) - and a whopping bunch of coarsely chopped mint. Melt the chocolate slowly in the top of a double boiler. Meanwhile, heat the cream in a saucepan together with the mint. 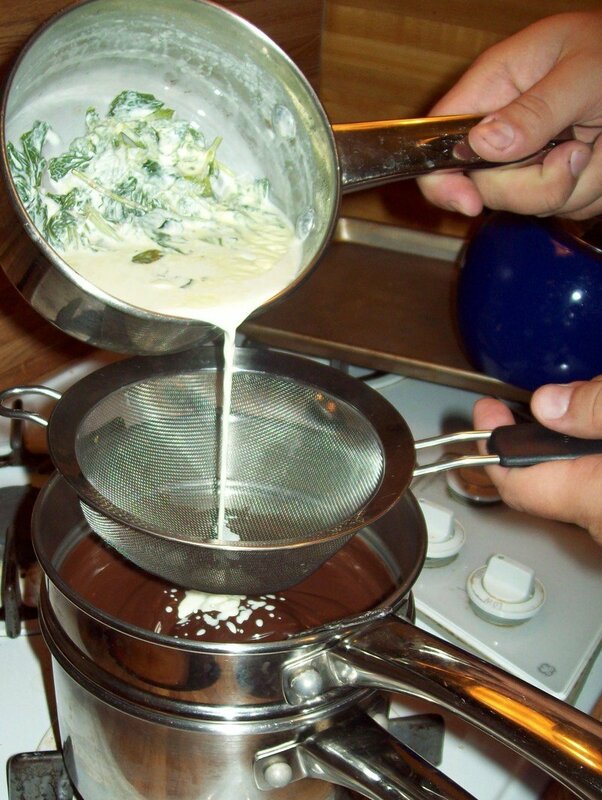 When the cream is warm to the touch, turn it off and let the mint steep into the cream, for a minimum of ten minutes. Taste the cream. If the mint flavor isn't strong enough, put a lid on it and keep steeping. 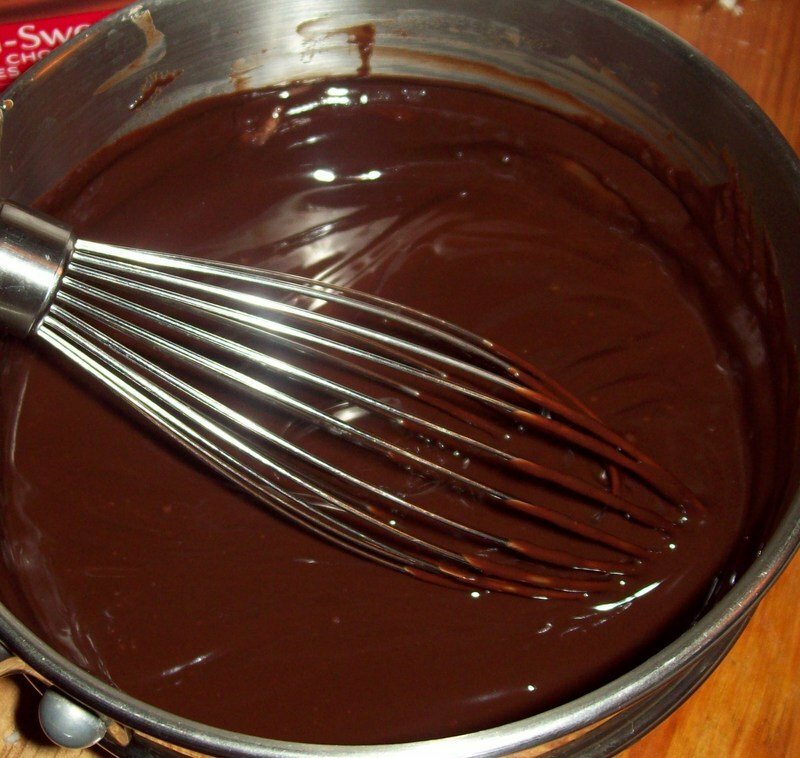 When it is done, strain the cream through a sieve into the chocolate mixture, and whisk to combine. Discard the mint leaves. This works with any variety of mint, but you get really nice effects from orange mint (Mentha x piperita f. citrata) and lemon mint (Mentha dulcia citreus). A traditional way to use mint is in jelly. Take your favorite apple jelly recipe, and add 1 ½ cup of peppermint (Mentha x piperita) or spearmint (Mentha spicata) leaves when you start cooking down the apples. Mint doesn't have the natural pectin required to make jelly on its own, and the apples have a mild enough flavor to blend in behind the mint. Adding the leaves at the beginning of the process will allow plenty of time for the mint flavor to suffuse through the juice coming out of the apples, and when you strain out the solids you don't have any leafy bits to disrupt the texture of the jelly. Mint is cooling (which may be why the above recipe is so nice with super-spicy Indian cuisine), and the Greek culinary tradition capitalizes on this by adding another cooling vegetable - cucumber - to make tatziki sauce. 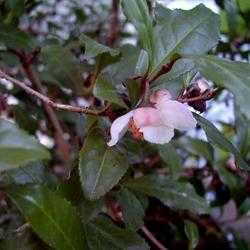 This can go over gyros, or can be used to dress a salad, where it will add a creamy taste without adding a load of fat. Start with a 16 oz. carton of Greek-style yogurt, and add a peeled, seeded, diced cucumber. Mince a handful of mint leaves together with a couple of cloves of garlic, add that to the yogurt mix, season to taste with salt, really good olive oil (I like using some in which I've infused lemon) and your favorite vinegar. You'll want to refrigerate this for at least a couple of hours to let the flavors mingle before you use it. 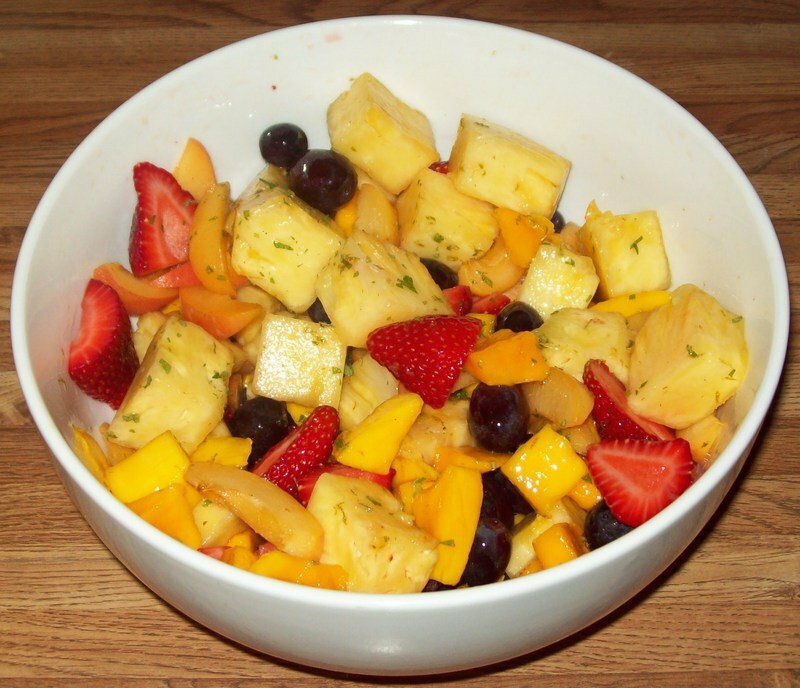 Mint also goes really well with both strawberries and pineapple, so try making a minted fruit salad. Add your other favorite fruit (whatever's in season), a handful of finely diced mint leaves and a syrup made by boiling down 1/2 cup lime juice and 1 cup sugar until it is syrupy (which will seal your fruit and prevent it from turning brown - but make sure you let the syrup cool before adding it to the fruit). Don't forget mojitos! One of the most refreshing ways to enjoy mint is to drink it. 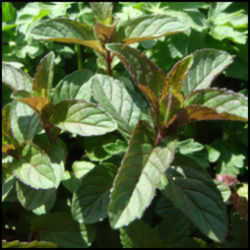 Steep the mint as for tea, strain it, add a bit of sugar and an optional shot of rum, and serve over a lot of ice. These are just a few ideas to get you started. Once you see how the herb works in the kitchen, you'll be making mint pesto, minted lamb dishes, tabouli, mint ice cream, and minty herb seasoning mixtures. Take the time to dry some for later, and to sprinkle a few dried leaves at the back of your cabinets to keep bugs away!